If you watched the Martinsville STP 500 last week you're in for a treat! The war between Busch and Keselowski continues and the prediction is they might just get a little rough during the race so you'll want to tune in on Sunday! The Duck Commander 500 has some fun stuff going on from the Grand Marshal to the cars you're in for a lot of fun. Let's just cross our fingers and hope that it doesn't rain. 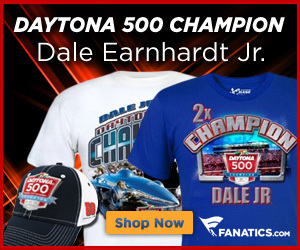 Get your exclusive 2014 NASCAR Duck Commander 500 T-shirt! As usual I’ll give you the run down for the week and a few drivers to watch! Sit back, relax and enjoy! So what does the 500 stand for in the Duck Commander 500? Technically it is advertised as a 500 mile race because the track is a 1.5 mile oval, but the actual race distance is 501 miles consisting of 334 laps. Who won the pole position? #14 Tony Stewart who races for Stewart-Haas Racing. After being out for the final 15 races last season with a broken leg he earned the top spot during qualifying in Texas for the first time in nearly 18 months! #88 Dale Earnhardt Jr – a HUGE fan favorite! #18 Kyle Busch, remember I said he would be stepping it up and he hasn't disappointed. Kurt Busch got his first win in 81 races with a heated up and down race. On lap 50 after Kurt thought his car was done after an incident on pit road. Kurt who is known for having a short fuse was able to calm down and come back to battle #48 Jimmie Johnson for the victory. Duck Commander’s first time sponsoring a race. Si Robertson with be the Grand Marshal giving the command to start engines. Phil Robertson will be the honorary starter, Invocation will be done by Sadie Robertson and national anthem will be sung by Missy Robertson. As always thank you so much and I hope you enjoyed my new Wife’s Guide to NASCAR!